Your house in Edina MN needs strong protection, and the best way to protect your house is to build a solid and sturdy roof for it. 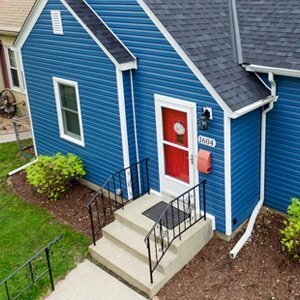 As an Edina MN roofing company, we have years of experience in roofing, storm damage repairs, and remodeling and, now, we are being relied on by many homeowners as the best storm damage contractors. Edina MN has a windy climate, and the city often experiences damage due to storms and hail. Due to the stormy and windy weather, the roof and other parts of the house get damaged frequently and create trouble for the homeowners. We are dedicated to providing our Edina clients the best services in roofing installation, repair, and replacements for remodeled or new homes in Edina, Minnesota. We understand that Edina MN roofing requirements are different from other cities and we work accordingly. Why is good roofing important? Your roof protects your house which has all of your valuable assets inside, especially your family. Roofs also add to the beauty and style of the house, but their main purpose is to protect the house and keep your family and assets secure. 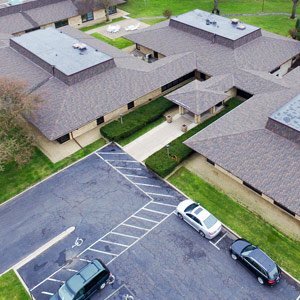 We have years of experience in roof installation, repair, and maintenance and we know that the safety and security that high-quality roofs provide can’t be achieved with a poorly installed and low-quality roof. Edina Minnesota has a harsh climate, and it often faces strong winds, heavy rains, and hail storms. Low-quality roofs can’t bear the rigors of this severe weather, so it becomes necessary to replace them. Edina homes are not ancient, as they were built in the 50s-90s, and most of them have a stick-framed structure. The stick-framed structure is mostly adopted with a combination of cellulose insulation systems and fiberglass batt. This structure makes these houses more susceptible to ice dam formation and heat loss. During the last decade, there has been an increasing trend of rebuilding and tearing down of houses. However, there are some areas where old architecture is followed, and some areas that have recently developed have the majority of the homes constructed in a contemporary style. When storms and winds hit Edina, they cause a lot of damage to these houses, and the cost of damage is too much because the houses there are big and high valued. The Edina MN roofing styles include gable roofs, hip roofs, flat roofs, mansard roofs, and gambrel roofs. Around 90% of the roofs are asphalt shingle, and the rest are comprised of a slate material, cedar, and other similar materials. To keep your roof strong and sturdy throughout bad weather, you must contact a professional who knows how to maintain roofs. If you find any damaged areas, contact us, and we will fix your roof for you. We will make sure that your roofing plan is successful and that it doesn’t get damaged in bad weather. Get redirected here to Fix Your Roof with an Edina Roofing Company.